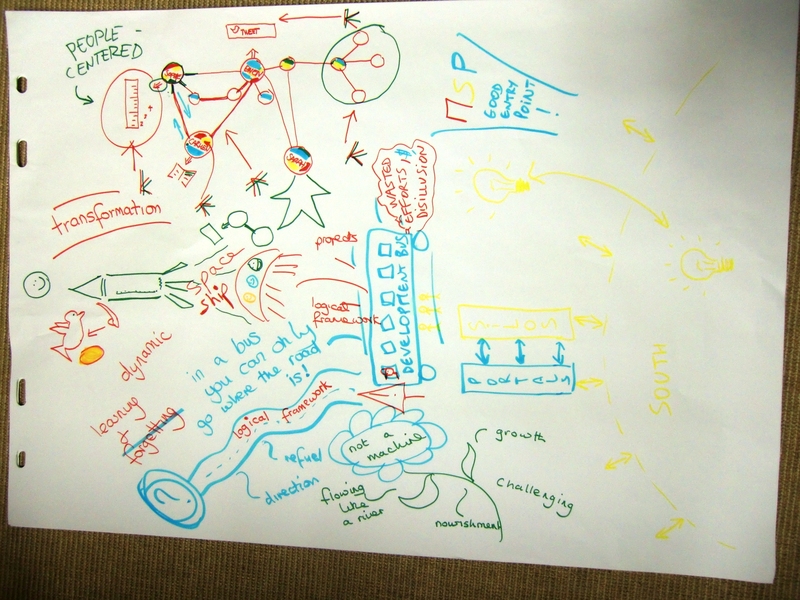 Knowledge management, social media and ecology – the complexity of three sessions (218, 206 & 173) | Agile KM for me… and you? 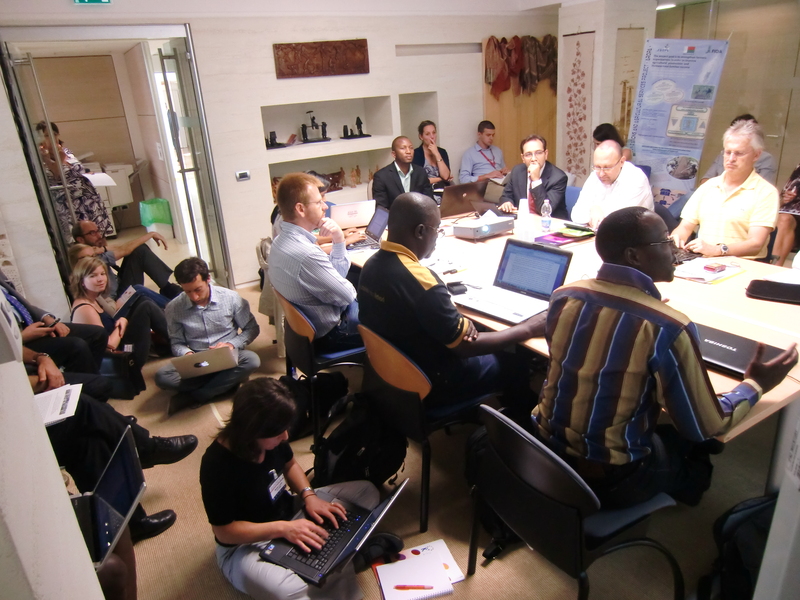 The first session explored the experiences of IFAD with knowledge management in their programme. It was a great sharing moment recognising the failures and issues that IFAD (like many other organisations) had/has been facing. What worked in their case: iterative coaching and workshops, development of systemic competences, focusing on improvement rather than on ‘KM’ as such, facilitation of communication processes, focus on various levels (individual, team, organisation), challenging the institutional set up, developing pilots to learn quickly from them, promoting and marketing the value of learning (for self improvement), working on the attitude and willingness to learn and improve, and time is needed for all these ingredients to form a savoury meal. And by the way some cooking instructions help too – so here’s the IFAD learning framework, which proved very helpful to turn concepts into practical activities for those involved in this experience. The second session (1) was around using social media for development – a big buzz word at the moment, confirmed by the over-attendance of this session and the social media reporting overkill. After a short presentation by Musa Masilela, the many participants discussed: the rapidity at which social media are evolving and the need to find a balance between exploring and mastering these tools; the difficulty of justifying and using social medias in institutions when so many corporate procedures hamper their quick uptake; yet at the same time a social media policy proves helpful to frame the approach and visualise the value expected from using social media; and no, not only communication people are in charge of social media, it’s everybody’s business! My take home here was that social media are there, used by many at work and outside and that they have the power to expand conversations and to connect individuals, teams and organisations. 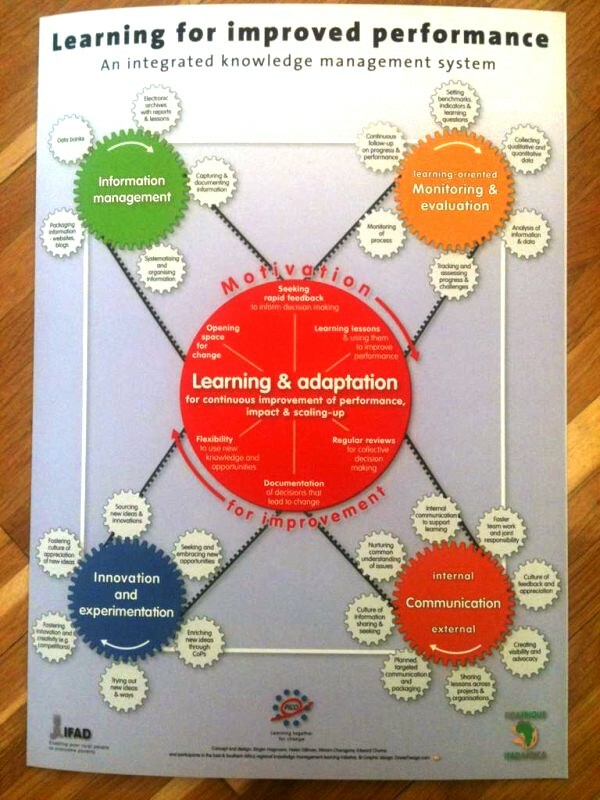 This entry was posted in Complexity, Development & cooperation perspectives, Learning and tagged IKM_Emergent, KM strategy, knowledge ecology, knowledge management, Learning, multiple knowledges, ShareFair, social media by Ewen Le Borgne. Bookmark the permalink.